The Junkers EF131 was the first development at the former Junkers facilities in Dessau after the Soviet occupation of Dessau. In August 1945 the Soviet Administration advised Brunolf Baade to complete the assembly of the Junkers Ju287-V3 and to start the assembly of the preproduction prototypes -V4 to -V7. Brunolf Baade, who was the head of the former Junkers construction Office after the Soviet occupation, realized, that a lot of documentation regarding the EF125- and the Ju287-design was lost during the final days of the war and the following intermediate U.S. occupation. He therefore started a reverse Engineering process from the unfinished Ju287-V3 and the remaining EF125- and Ju287 documents under the new Designator Junkers EF131. He was supported by Freitag and Wocke from the original Ju287 Programme. In July 1946 a 1:1 mockup of the EF131 was finished in Dessau and in August 1946 the EF131-V1 prototype was available for the first testflight. However, before the first testflight, the EF131-V1 and the Ju287-V3 were demontaged and transported to the Soviet experimental Airport at Ljotno Ispytatelnyi in September 1946. In Russia the Junkers Team had to redesign the structural Setup of the EF131-V1. Finally the EF131-V1 took off for the first time on 23rd May 1947. Only a few flights were performed in 1947 and the flight Programme was stopped during the Winter 1947/48. 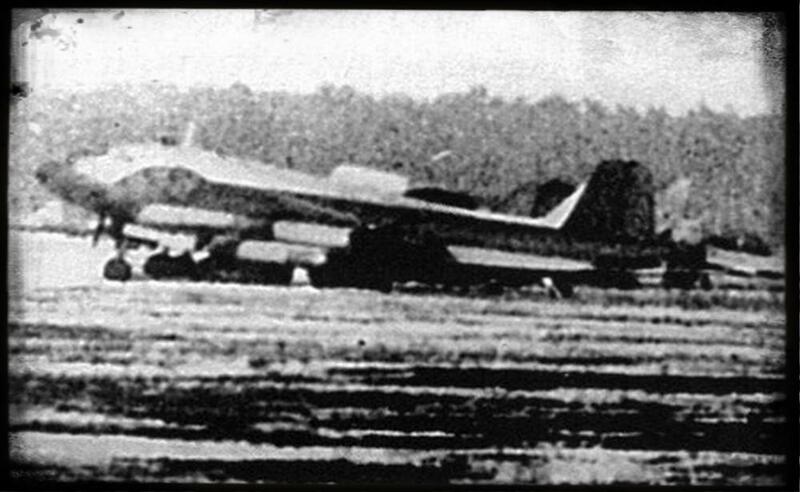 In June 1948 the Soviets decided to stop further activities on the EF131-V1 as more powerful Jet engines were already available, which could reduce the triple engine set by a single engine per wing. The EF131-V1 made 15 test flights and cummulated 11 Flight hours. The EF131-V1 was later used for the EF140 prototype in Russia.